2nd december this year was an iconic fixture – The North London Derby. 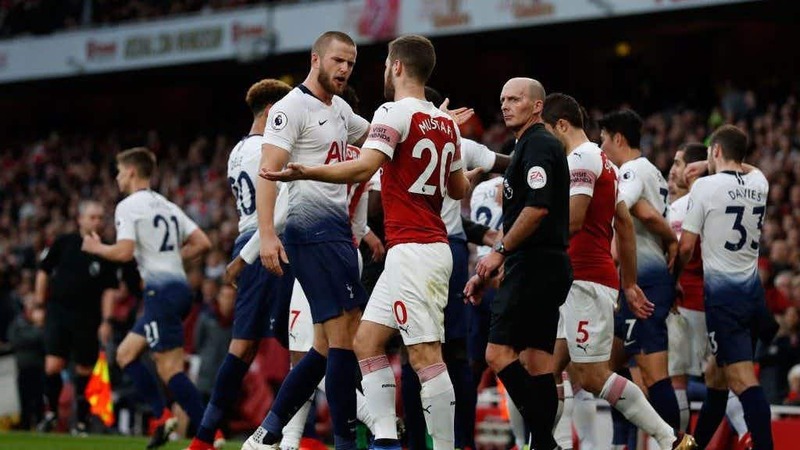 The PL match saw both teams playing aggressively and the aggression transcended into behavior of both sets of players as a scuffle broke out after Eric Dier celebrated his goal infront of the Arsenal fans right there in the Emirates. Repercussions have finally been taken by the Football Association. The fierce rivals admitted an FA charge relating to the December 2 fixture with the Gunners fined £45,000 and Spurs hit with a £50,000 punishment – the reason being ‘failure to control their players’. The England International put his finger to his mouth after scoring, irking the home side’s substitutes, leading to the melee. Pundit Graeme Souness said “I think it’s been fantastic. I’ve not seen this from Arsenal players for a long time. The purists would say he shouldn’t be reacting to Dier celebrating but that’s what you want to see from your players. It matters to them, Arsenal from the first minute have shown that. “There’s been confrontation all over the pitch, it is a derby. This is how it used to be and this is how it should be, obviously without anybody getting into real trouble. For a supporter, you’ve paid your hard-earned cash, you want to see your players react like this. Spurs did get their revenge in the quarter-finals of the EFL cup as they saw out Arsenal with 2 goals to none. This time round , another kind of incident took place that stole a vast majority of the headlines. A plastic bottle was thrown from the crowd which hit Dele Alli in the head. Previous articleIndian Football: National Team arrives in UAE, East Bengal beat Churchill Brothers in I-League, and much more!! !